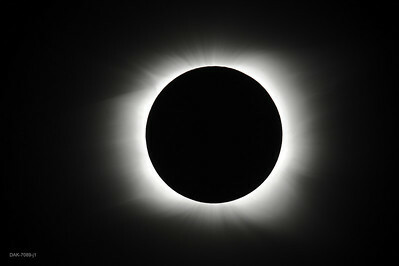 These are a few photos from the 2010 total solar eclipse. 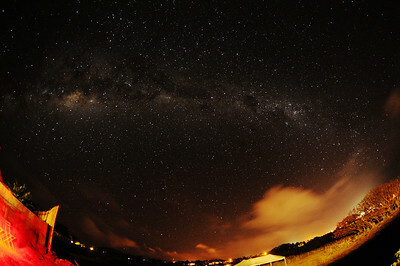 Southern Milky Way. Photo taken from the grounds of the Altiplanico Hotel, Easter Island. 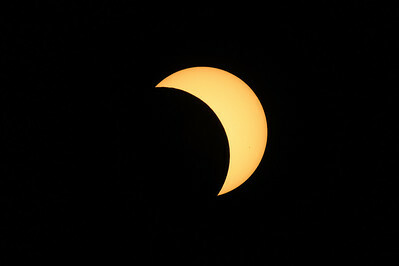 Partial eclipse phase prior to full eclipse. We had intermittent clouds during the partial phases before and after totality. 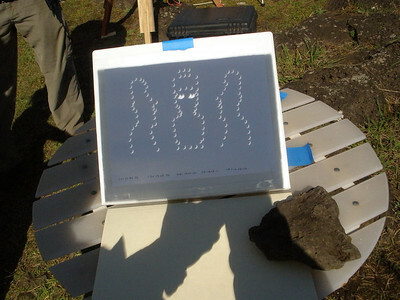 Pinhole images created by Jean's Easter Island theme design. 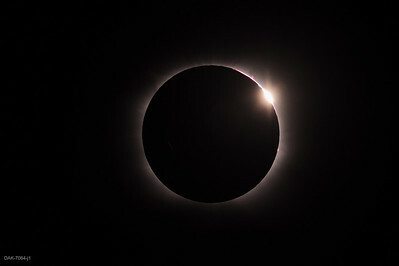 Second contact (start of totality) diamond ring. 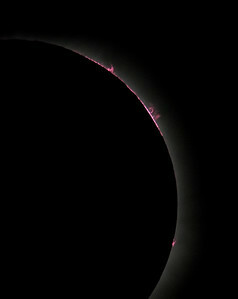 Closeup of chromosphere and prominences just after second contact. Preliminary composite created from several different exposures during totality. Closeup of prominences visible just before 3rd contact. 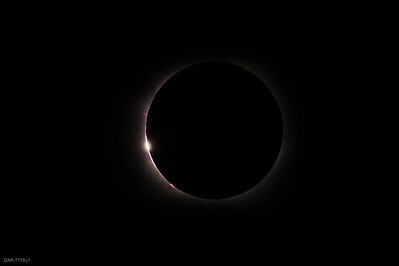 Third contact (end of totality). 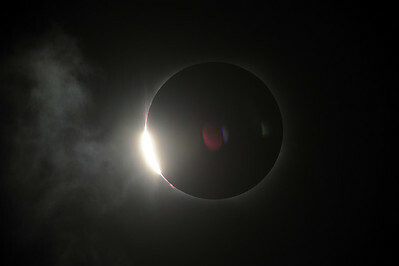 As third contact happened, clouds began to move in and were visible in subsequent shots. 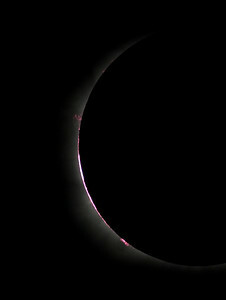 Note prominences visible (zoom in).